I'm not even supposed to be here today, but the portable nature of mobile gaming means that even in the middle of packing everything I own and putting it in another place, I still have time to play a ton of titles. Yay. 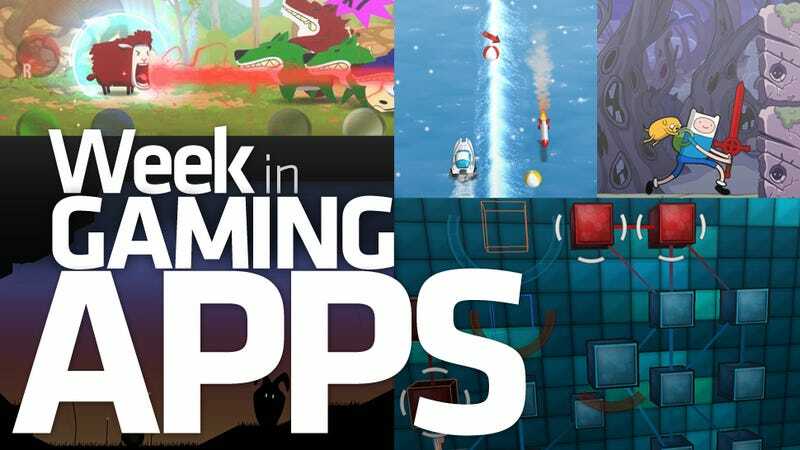 I probably could have skipped this weekly feature altogether, but when I looked over what I'd managed to play in the three days I did work this week, I realized it was either this, or make next week's entry the largest week in gaming apps in Week in Gaming Apps history. Considering I've had two days to get this one together and it's still going up several minutes late, probably best just to get it out of the way. Highlights this week include Color Sheep, Color Sheep and more Color Sheep. NightSky is pretty wonderful as well, but Color Sheep speaks to the artistic lamb enthusiast inside all of us. See what I've played and what we've reviewed, and imagine me floating on cardboard boxes on a sea of dust, tapping away at my screens. One of the coolest game ideas ever. You've got three primary colors, plus light and dark. Colored wolves are coming for you. Combine colors and brightness to blast them. Soooo good. An older corridor defense game that I've just discovered. It wins, because it picks the right side of the cats vs. dogs battle. It's an endless boating game! We needed an endless boating game. It's got missles, and waves, and jumps and stuff. Kinda nifty. One part village-builder, one part weird little digging game. Free your freinds from a dinosaur with a cape. He's also a wizard. Strange game. Diggin' it. A super-cool combat board game in 3D. Takeover all the nodes on the board before your opponent. Nice story mode, but perfect multiplayer. Love this game. A tiny vampire runs from villagers as you feed him blood pigs. Incredibly cute endless running from High Voltage, the makers of The Conduit. A beautiful platforming adventure from Nicalis, with gorgeous visuals and wonderfully atmospheric music. One of the best games on iOS. Not a platformer, but a pegformer. A quirky little game about a gashapon critter that runs on pegs. It's unique. It's an action platformer, and it's Adventure Time. Little slow, maybe, but it's also Adventure Time. A fresh spin on the platform puzzler, in Rolling Hero the entire screen rotates around your spherical champion. Some Bullet Hell Shooters are Too Hard. Some are Too Easy. This One is Just Right.